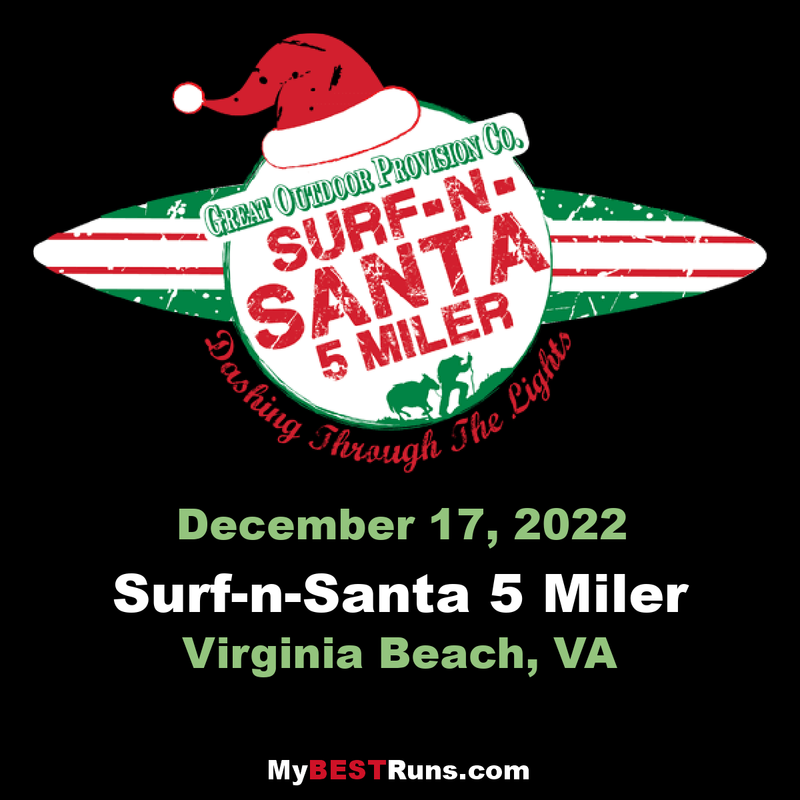 J&A Racing brings you the Great Outdoor Provision Co. Surf-n-Santa 5 Miler presented by Bon Secours In Motion. Participants can choose between a a 5 piece Santa Suit or an official race shirt during registration to prepare them for their run through a nautical holiday wonderland alongthe Atlantic ocean. The event is held at twilight along the boardwalk so runners can enjoy the Holiday Lights Merry Mile and a festive evening being mesmerized by the holiday spirit. All participants will receive awesome swag including the 5-piece Santa Suit or a race shirt, a unique medal, a finisher’s item and more. Best of all, all participantsare invited to the post-race party inside the Virginia Beach Convention Center featuring live music, brew from Samuel Adams and other goodies.